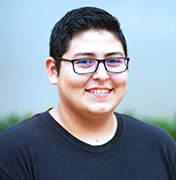 Carlos Sandoval researches teacher professional development and teacher learning, and improvement science. Teaching, Learning, and Educational Improvement brings together the tightly integrated nature of learners and the contexts in which learning takes place. Faculty and students draw on cognitive, socio-cultural, anthropological, and discipline-specific research perspectives to advance learning theory and provide an empirical foundation for improving teaching and learning, including in science, math, engineering, computer science, language, and literacy. With attention to both learners and learning environments, we investigate teaching and learning in schools, communities, and online settings using case studies, design-based implementation research, research-practice partnerships, evaluations of learning outcomes, and data and text mining. Central to this area is the role that social, cultural, and learning environments play in advancing or limiting learning opportunities for diverse learners, as well as the role of teaching and learning innovations in addressing educational inequities. The development and diffusion of digital media are transforming the terrain of learning in a range of settings, higher education, K-12 schools, and out of school contexts. The use of digital media in education is also dramatically expanding the amount and types of data available to analyze teaching and learning processes. This area uses advanced methodologies to understand students’ learning processes and designs and develops tools to improve digital learning opportunities. Sociocultural perspectives to learning account for the role of context and culture in shaping and being shaped by individuals’ participation in communities of practice. This perspective draws attention to the integral nature of teaching and learning in the historical and cultural contexts of individuals’ participation and seeks to account for the relationship between culture, context, and learning and development. Studies in teacher learning and development recognize the central role that teachers play in improving the life chances of youth. Inquiry in this area contributes to research focused on understanding the complexity of teacher knowledge and teaching practice to contribute to the knowledge-base of teacher education, while also informing disciplinary inquiry on improving teaching in K12 contexts.